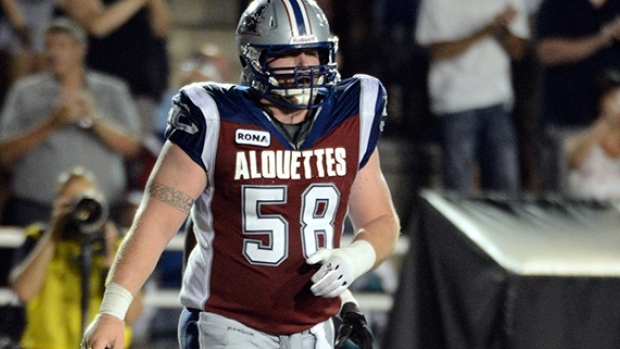 The Montreal Alouettes announced Friday they have re-signed Canadian offensive lineman Luc Brodeur-Jourdain to a one-year contract. Brodeur-Jourdain played in 13 games with the Alouettes last season, including three starts at centre. Brodeur-Jourdain has spent his entire 12-year CFL career with the Alouettes after the team drafted him in the sixth round in the 2008 Draft. Brodeur-Jourdain was the team’s Most Outstanding Canadian player in 2015 and Most Outstanding Offensive Lineman in 2013. A member of two Grey Cup-winning Alouettes’ squads, Brodeur-Jourdain is also a two-time East Division All-Star.